This is a very popular item amongst my customers. These bottles are eco-friendly and very attractive. Love the way our company image printed I will be re-ordering ASAP. Very pleased with how the final product came out. My logo came out so clearly and I couldn't be any happier. Love these customized plastic tumblers! Really appreciate the effort Custom Earth Promos put into getting me exactly what my company needed for our convention! The eco-friendly aspect really attracts potential customers! Great concept! I have used Custom Earth Promos over 5x now and i love how they save my logo its better price and time wise. Thanks for making my life easier Cory with C.E.P. This is a very popular item amongst my customers. These bottles are eco-friendly and very attractive. Love the way our company image printed I will be re-ordering asap! We needed five thousand customized tumblers for our event. I was in a bind because there was such a short time frame on when I needed them by. Custom Earth Promos rushed the order and I received them in time. I was truly happy with the effort Custom Earth Promos put into my order. 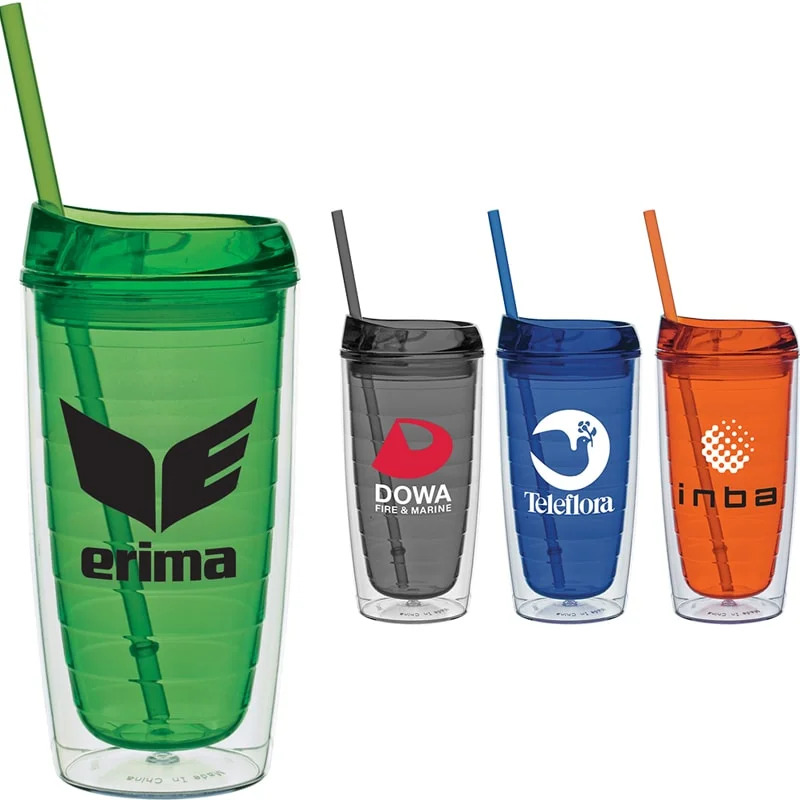 A an eco-friendly tumbler than can hold warm or cold drinks. Purchased 2,500 of the customized plastic tumblers for our festival. They look great. Very spacious, I was able to put our whole slogan on these plastic tumblers. BPA products are the only way to go. These personalized eco-friendly were a huge success at our convention. Nice design to these earth-friendly tumblers. I'm really satisfied with the end result. We were impressed as a whole with the entire process.